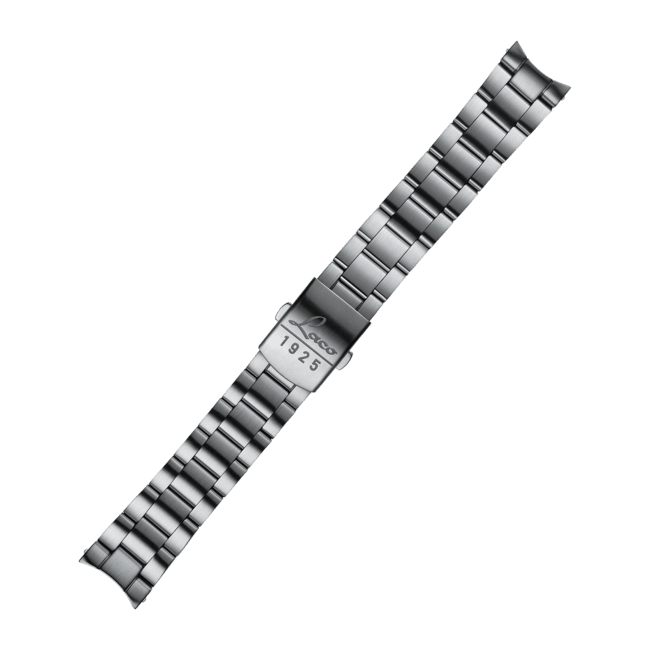 Massive stainless steel bracelet with burshed finish incl. curved endpiece and stainless steel folding buckle with logo. The bracelet can be shortened by taking out pieces. 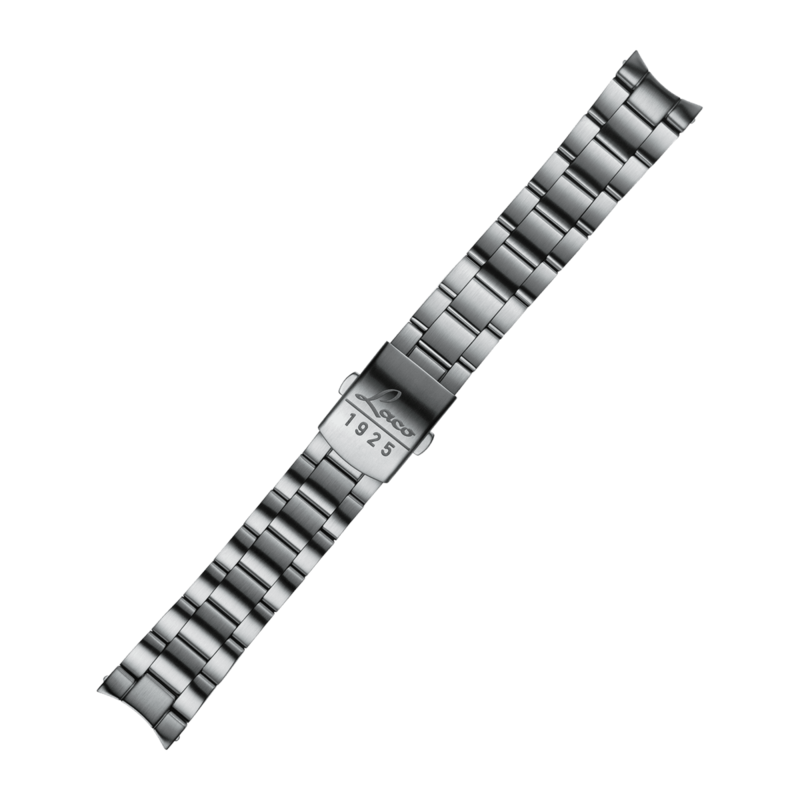 If you add the lenght you need in cm to your order, we will shorten the bracelet for you. Important note: this bracelet will only fit to our pilot watches with a diameter of 36 millimetres.